Biking to Antipolo has been scary for many for it means you have to climb ascents that are very challenging. 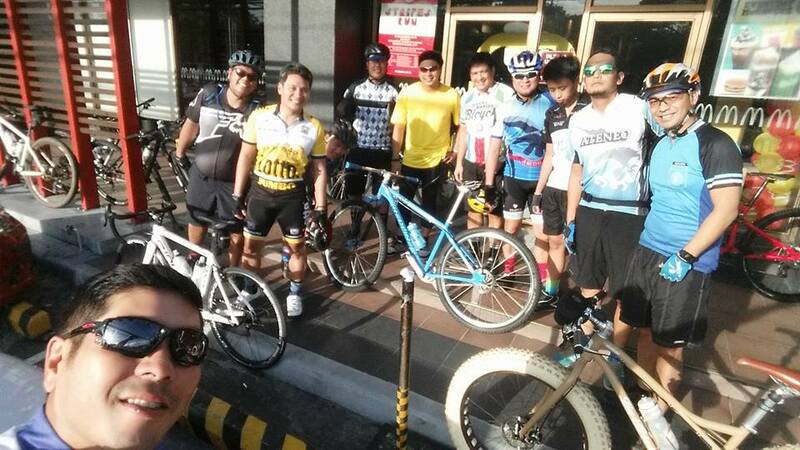 I was invited by school mates to join a newbie ride: From Katipunan, Quezon City up to mangga in Antipolo. It was advertised as an easy ride and we would be back by lunch. I checked my schedule and it seems as though I couldn’t ride the trails this weekend, thus I joined the ride. A lot of purists say that once you go single speed, you’re never gonna look back. The level of simplicity and “one”-ness of the rider and bike goes an extra mile if you ride single speed. The question a lot of people ask is: what gear set-up are you running? For the SS rider, this is very crucial because it dictates the speed and how the bike performs. The crank slapped on the Karate Monkey presently is a SRAM X7 (from John Sadler) with a 39 teeth ring. My rear sprocket has 17 teeth. According to the Gear calculator, the ratio is 2.29 in this set-up. I am not a bike geek when it comes to gearing but the Karate Monkey works well in this set-up. The base frame of the Karate Monkey is steel and it fits my height because it is a large frame. The wheelset presently is a 26 inch rim with 2.35 slick tires (my Urban commuter) so from there, I started playing around with the gear set-up. Initially, I installed Shimano XT cranks on the Monkey which ran a 36 teeth chainring matched with 17 teeth for the sprocket. It rode well in the city, but when it came to long distance cycling, I longed for that extra ooomph, when everything became boring and monotonous. So when John Sadler gave me a SRAM X7 as a gift (which had a 39/26 double chain ring), I immediately put it on the Karate Monkey. I have been enjoying the 2.29 gear ratio and this was the first time I actually rode the Monkey on an uphill fun ride. 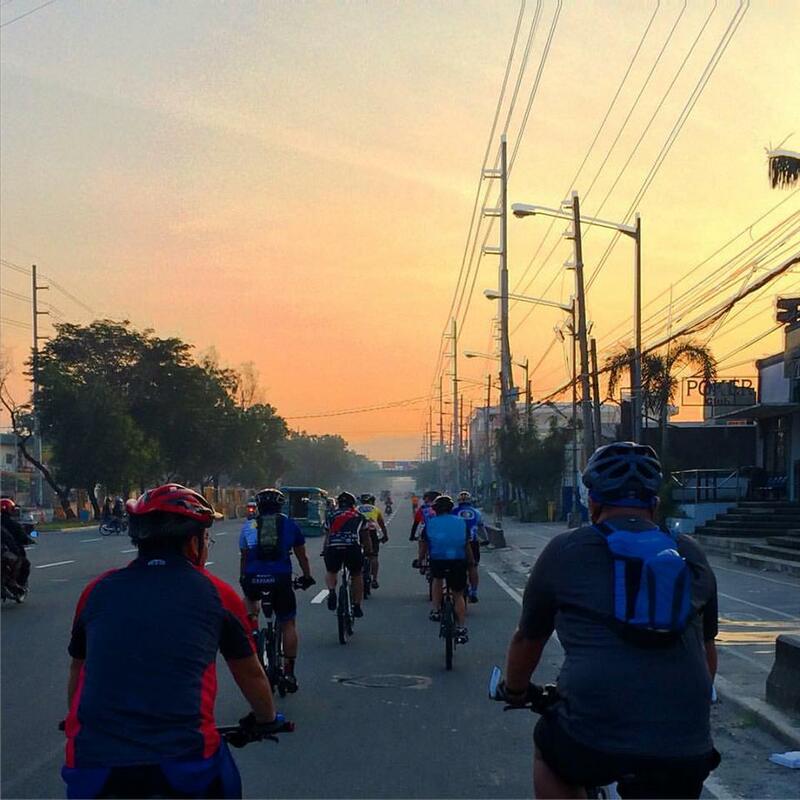 The come on for this ride was that it was supposed to be only until Mangga (that is the rest stop for bikers climbing Antipolo). When we reached Mangga, the group decided to ride until bayan. It was still early and I think the Monkey and I can still take the ride so the adventure continued. 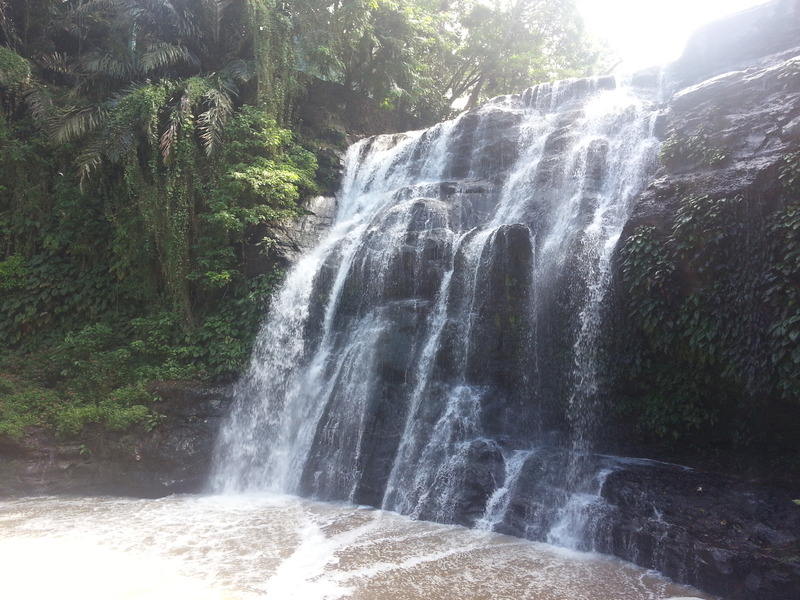 We rode until we passed the Hinulugang Taktak conservation and then cruised on the quaint village near the falls. 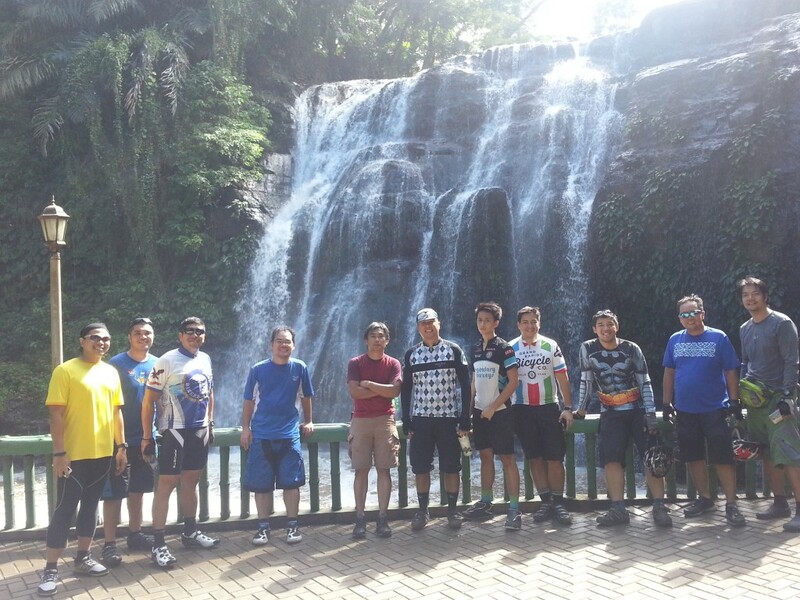 We parked our bikes, registered at the front desk and took some photographs at the falls. History tells us that during the 16th century, the local townsfolk of Antipolo were bothered by a bell that produced a harsh and annoying sound when rung. The people complained that they cannot bear the sound of the bell. So the parish priest got rid of the bell and dropped it on the river. Thus the name, Hinulugang Taktak. The area around the falls is now a national park. It is definitely a worthwhile destination if you want to test out your single speed bike. Whenever my friends and I go downhill coming from the mountain, we have a running joke that it is prohibited to hit the brakes. “Bawal prumeno!” (no brakes!) 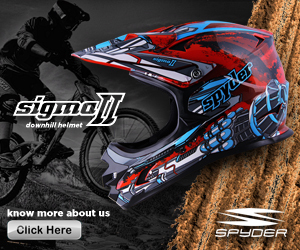 so that we can optimize the ride and have the best downhill experience. It was a joke. Going downhill is very tricky if you are racing with jeepneys and cars also going down from Antipolo. I run a single speed, single brake commuter steel bike. Thank you, bike gods for guiding me and giving me the skills to weave through the crazy traffic of Sumulong highway. 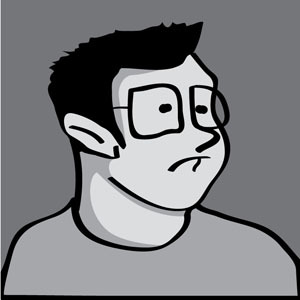 My advice for going DH in the Metro: look ahead and plan ahead. Plot in your head the best line down. Always assume that people and drivers don’t see you. Brake hard to kill your velocity, then release (that way, your rotors have time to cool down and it is easier for the brake pads). Most important advice for going downhill: Enjoy the ride! You pedaled hard going up, so this is the reward. Smile going down.